27 pounds. Range: 10 miles. Top speed: 12.5 mph. $1800. What is it with motorized unicycles? About fifty companies are making them. Nobody, as far as I can tell, is buying them. I can ride a unicycle, and even I think these make people look like idiots. This entry was posted in Not quite a bicycle, Such a bargain!, Why did you think this needed a motor? on September 16, 2014 by stern. 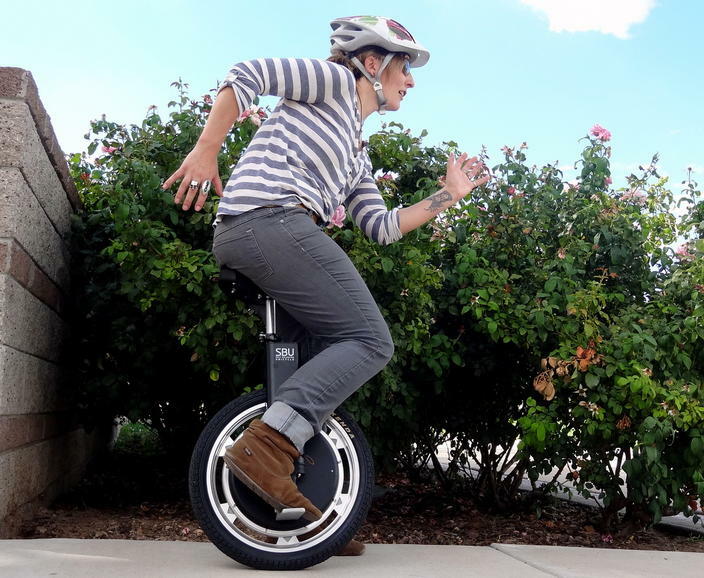 You forgot about all the great features of motorized unicycles, such as… they’re “futuristic”. I really can’t think of another positive attribute. Now c’mon, do you really need so many teeth?